Florida was mostly untouched by the Civil War in terms of direct conflict. Due to Florida’s large coastline, however, it was greatly susceptible to interference and harassment by the Union Navy throughout the war. Fort Brooke stood as one of the foundations for the creation of the town of Tampa in the mid-1800s, and Tampa also served as a thorn in the side of the Union Navy as it harbored several blockade runners. Fort Brooke was active during the American Civil War and was attacked on two different occasions by Northern forces during the war, the Battle of Fort Brooke (and Battle of Ballast Point) and the fort’s eventual capture on May 6th, 1864 by the Union Navy. 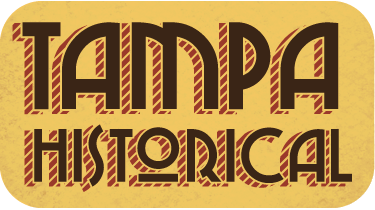 On March 27, 1863, the Union gunboat Pursuit sailed into Tampa Bay. Confederate Captain John W. Pearson took some of his men out to the bay and disguised several of his soldiers as African Americans, instructing them to act like they were freed slaves seeking shelter from the Union. While other Confederate soldiers hid in the brush nearby, a number of Union sailors came ashore under a flag of truce to aid the perceived freed slaves. Pearson’s men opened fire on the Union sailors, wounding four. The Federals were outraged and set the ships Tahoma and Beauregard to bombard Tampa and Fort Brooke, causing little damage. On October 13, 1863, two Federal gunboats, the Adela and Tahoma, arrived in Tampa Bay and began shelling Fort Brooke on October 15. The bombardment lasted all day, and 126 shells were fired at the fort. After several days of bombardment, the Tahoma dropped 140 men at Ballast Point with an objective to burn and sink two Confederate blockade runners, the Scottish Chief and the Kate Dale. Marching overland, the landing party was successful in burning the runners, but they were driven back by a fierce assault by the Confederate forces. The Confederate defenders also destroyed their own steamer, A.B. Noyes, so that it could not be captured by the Union attackers. Although the Confederate forces were successful at driving the Union saboteurs back, the Union was successful in its mission. Having lost about twenty men each, both sides claim victory at the Battle of Fort Brooke and Battle of Ballast Point. In 1864, Northern forces destroyed all of the main buildings inside the fort and destroyed a salt processing factory owned by Confederate blockade-runner and former Tampa Mayor James McKay. 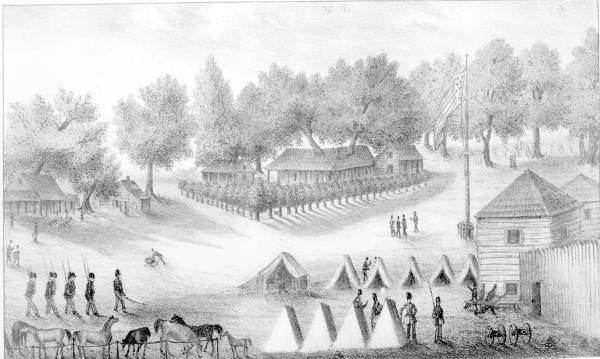 Union force occupied the fort from 1864 until 1869. From there, the fort fell into disrepair. 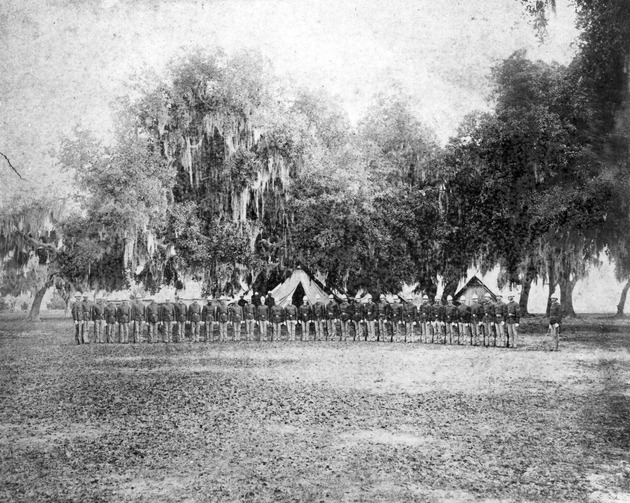 The last roll call of soldiers was in 1882, and the fort was decommissioned by the U.S. Army in 1883. 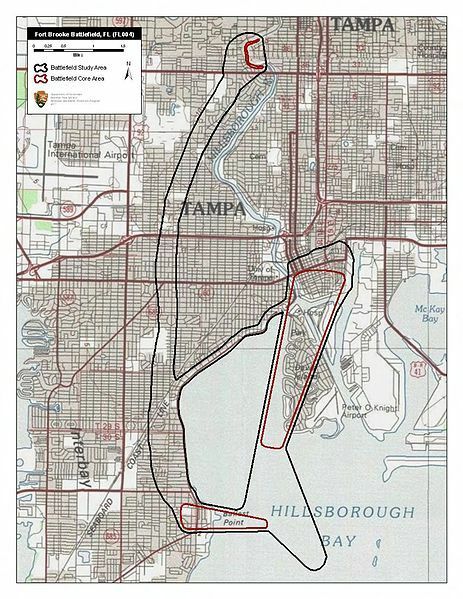 Aaron Lewis, “Battle of Fort Brooke and Ballast Point,” Tampa Historical, accessed April 20, 2019, http://tampahistorical.org/items/show/54.